Photographer Gregg Thompson spent time in early May on the Pacific coast (Washington State), where he observed a variety of migrating shorebirds. This is a great opportunity to study the variety of bill shapes in this family of birds. Many "rocky" sandpipers like Black Turnstone, Ruddy Turnstone, and Surfbird (and here) have short bills, while two others---Rock Sandpiper and Wandering Tattler---sport longer ones. Nearby, Red Knots (and here) and Western Sandpipers (and here) used their bills to probe for invertebrates in the sand. 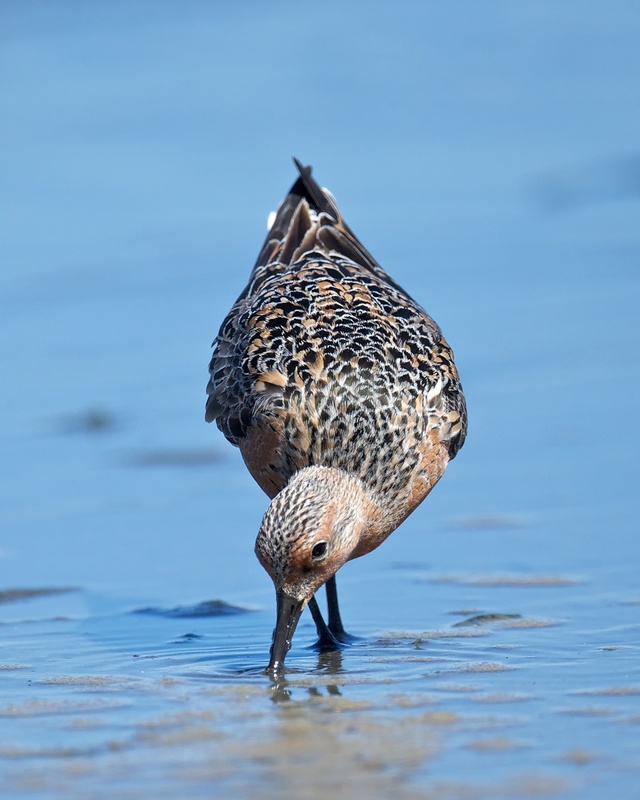 Listen to the BirdNote show, "Probing with Sandpipers."